First, before we get to the meat of this little ordeal, we want you to know that KSDK brought us this story from Frank Wiley reporting live from downtown St. Louis last night. Why? No clue. None of this had anything to do with downtown St. Louis. Maybe Frank had to smoke or fart or something so he took his work outside. It added nothing to the story of a local rapper suing ESPN, but maybe if you hit your head really really hard or take a day and drink nothing by antifreeze it might make more sense. 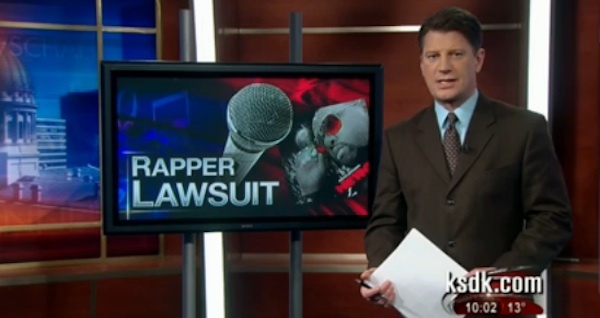 Anyway, some local rapper you haven’t heard of is suing ESPN because they played his song on their widely watched national TV network. Local rapper and music producer Michael “Dutch” Jackson says ESPN used his music without his knowledge or permission. Jackson filed a 31-page lawsuit with the U.S. District Court for the Eastern District, last week. He says ESPN, Amazon and And-1, a basketball apparel company used his unreleased song, “I Am the Greatest,” to promote its product. Now, he’s looking for financial compensation, and notoriety. 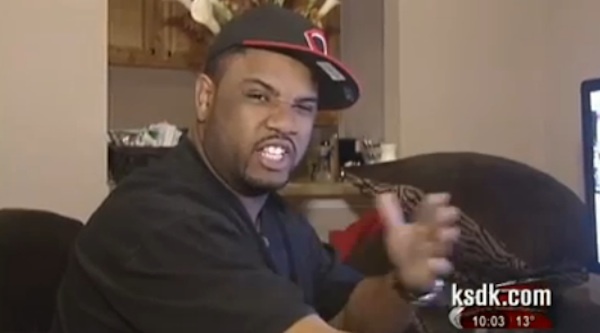 After a clip of him bobbing his head to his own song like Kevin Federline kicking it to Popo Zao back in the day, “Dutch” claimed his unreleased song was “leaked” and then And-1 Studios used it in one of their basketball highlight clips, ESPN aired in and then Amazon sold the video online, so they’re all getting sued! All he wants is an undisclosed amount of financial compensation…and to be on KSDK. Halfway there! …plus after all of this he’ll have the contact info for ESPN, Amazon and And-1 Studios so he can call them back and beg them to use his other songs he’d be happy to “leak” to them. “I know if I steal from somebody, I’m going to jail. It’s not right,” said Jackson. If he’s right and has proof, he’ll get a little settlement and his song will be scrubbed from their clip allowing “Dutch” to take his beer money and head back in to obscurity. Meanwhile Mike Bush has your back Dutch because this shiz is straight whack yo! Right Mikey B?! Holla atcha boy! Ugh. Seriously, we’re all dying out here for something to report on this week. If one of you could crash your car through a Jack in the Box or go dress up like a clown and sucker punch kids at a mall or something that would really help us all out.